Did you recently start a business? Did you start one a few years ago, and you’re enjoying some well-deserved growth? Whatever the case may be, you’ll most likely be looking to keep your overhead low. Keeping costs down is an important part of having a successful business. Who knows, maybe you’ll even start making a profit soon – wouldn’t that be exciting?! An excellent way to keep overhead low is by making sure your expenses are reasonable. 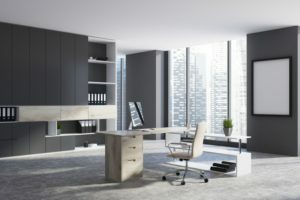 One essential expense is office furniture, which can be easy to overspend on. But when you come to PnP Office Furniture for all your office furniture needs, you won’t have to worry about overpaying. All of our prices on office furniture are totally affordable, and all our pieces are durable and long-lasting. Every month, we run special deals to save you even more money on office furniture. For the month of April, we’re running these amazing specials – come to PnP Office Furniture today to take advantage of them, or order by phone by calling 909-390-0428. Get faux leather seats with built-in lumbar support for just $129 or $159 each. Or get leather seat back chairs for $165 each. Your office is going to look so sophisticated and elegant with these high quality office chairs from PnP Office Furniture. Our resin tables are ideal for indoor and outdoor use. Whenever you need temporary table space, these durable tables with a lightweight, sleek design are your best option. 4 different sizes available, ranging from $55.00-$135.00. Our height adjustable tables, now available with new color combinations, are fantastic for training and many other uses. Featuring one-touch pneumatic height adjustment and a stable steel frame, this table will meet your needs well. Come to PnP Office Furniture today! We invite you to stop by our warehouse to pick out high quality furniture for your entire office today. Whether you have a small home office or hundreds of employees, you’ll be able to keep your overhead costs low and still purchase high quality furniture when you choose PnP Office Furniture. We’ve been the Inland Empire’s go-to source for budget office furniture for over 30 years. Come find out what the fuss is all about at 940 South Rochester Ave. Suite D Ontario, CA 91761. Business hours are Monday-Friday 8:30am-5:30pm. If you already know what you’d like to purchase, feel free to do so over the phone at 909-390-0428. For your convenience, we offer delivery services within a 50-mile radius of our store.